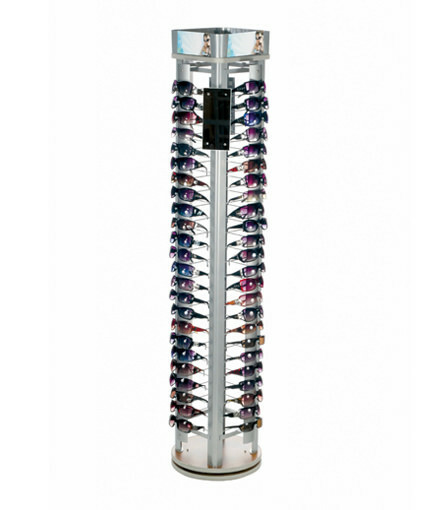 The smallest sunglass display in our signature LINK SERIES, the SU-72LINK holds 72 glasses and features the same upscale aesthetic as the other eyewear displays in our LINK SERIES. The SU-72LINK’s stylized MDF base folds down for efficient shipping. 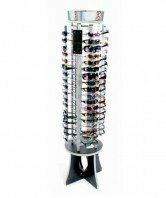 The unit includes a shiny silver spinning frame, anodized aluminum panels, chrome nosepieces, 1 glass mirror, a crown with interchangeable header graphics, and a black finish. 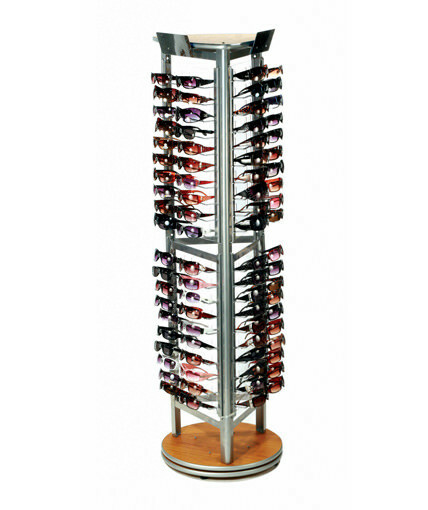 Comes with podium base or stock knock-down base. With its compact 18″ footprint and relatively low profile, the SU-72LINK fits in almost any retail location and meets almost all line-of-sight guidelines. 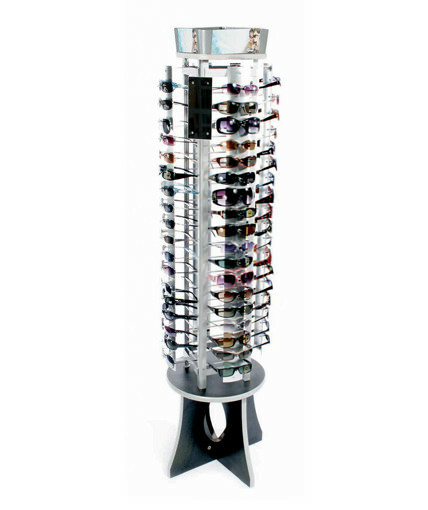 Its premium look helps to increase the perceived value of the sunglasses it displays while also driving incremental sales. 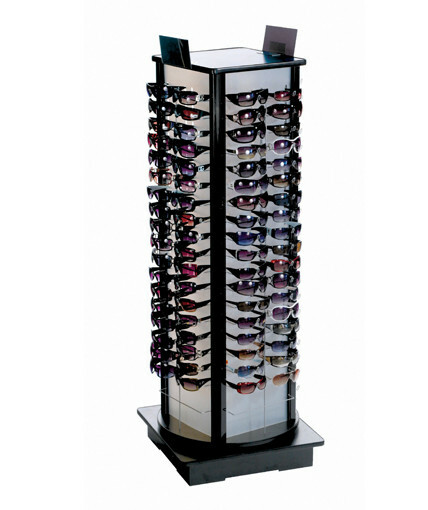 The SU-72LINk provides a nice alternative to our SU-120LINK-10 and our SU-144LINK, both of which are higher capacity retail sunglass fixtures. 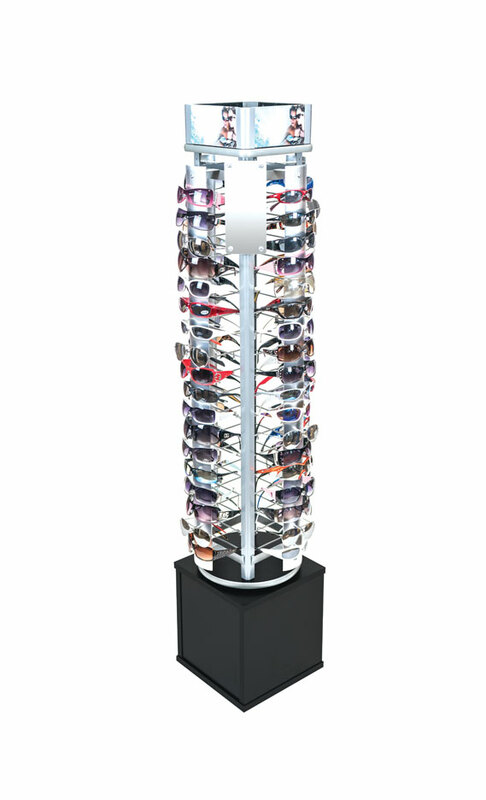 Like our other sunglass fixtures, the SU-72LINK is easy to assemble and is durable enough to withstand high traffic retail environments. The unit comes with interchangeable stock header signs on 4 sides which can easily be customized with your own brand-specific graphics. Some customers request further customization which we can easily accommodate. For example, we customized the SU-72LINK for Louis Garneau by substituting a black laminated podium base for its stock knock-down base. We added custom header signs and logos to the base on all 4 sides. 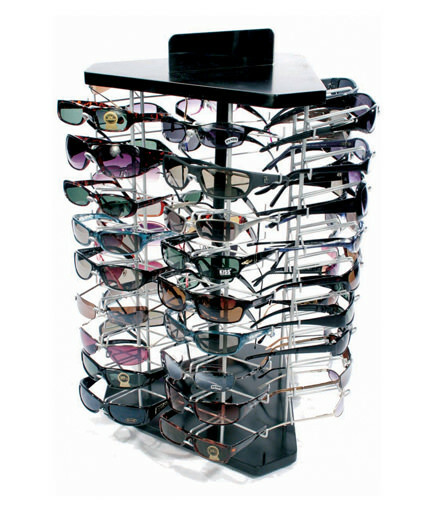 The SU-72LINK is a great all-around retail sunglass rack that is popular among our customers and one of our favorites. 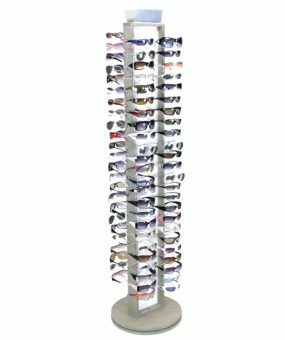 It works well in both large and small retail formats but is particularly well suited for convenience stores, gift shops, sporting goods stores, apparel stores, drug stores, truck stops, and other specialty retailers.